The kitchen is the main hub in your home. It’s where you made meals and where you entertain your guests. But, if your kitchen is one of the sources of frustration or shame, it’s time for a change. I’m covering the three reasons for your lackluster kitchen. I’ll also be sharing some ideas for fixing these issues. We have all seen an outdated, lackluster kitchen. The cabinets are old and faded. The doors and drawers hang crooked or dangle. The appliances look dated and struggle to operate. They often break down and need repair. If this sounds like your kitchen, it’s time for a change. Update your cabinets with a timeless, yet modern door style and color. 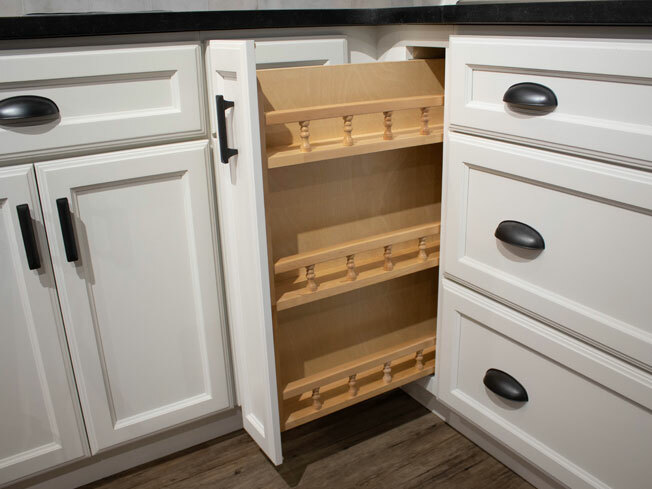 You should upgrade your cabinet hardware while you’re at it too. Soft close hinges and glides are becoming more of an industry staple than an option. Replace with your old appliances with smart ones. These high-tech, smart appliances make food prep easier. They can also check for spoilage and send reminders to your smartphone. When you first bought your house, your kitchen was a perfect size. The layout was what you wanted and needed. Now, your family has grown, but your kitchen hasn’t. A poor layout is another reason for your lackluster kitchen. If you have the space to do it, consider an open concept kitchen. Be sure to check that the walls you’re taking down aren’t load-bearing. An open concept kitchen allows you to extend your kitchen space out. It also opens your kitchen to the rest of your home. These kitchens are perfect for those who like to entertain. Consider installing open shelving to make your everyday use items easier to grab. Be sure to be mindful of the “Work Triangle” when designing your new layout. Click image below to enlarge. 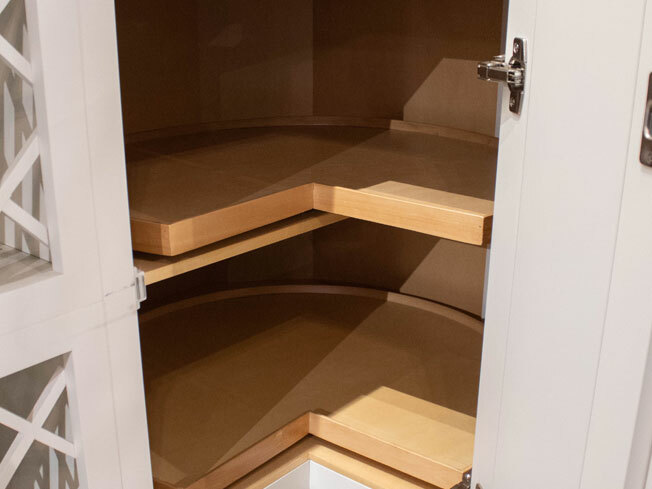 Lacking storage and organization is one of the top complaints with homeowners. It seems that we don’t have enough space for all our pots and pans or Tupperware. We also have the problem of being able to grab items stuck in the back. There are some solutions to fix these issues. 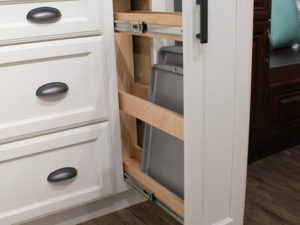 Pullout shelves are great for your bottom cabinets and tall pantries. These are perfect for canned food as well as pots and pans. 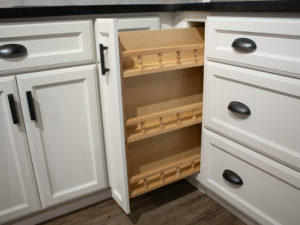 Installing a Lazy Susan also makes finding these items easy. You can find a variety of drawer organizers on Amazon that suit your needs. These are perfect for organizing your Tupperware and their lids. Use them for organizing your cookware and lids in your deep drawers. 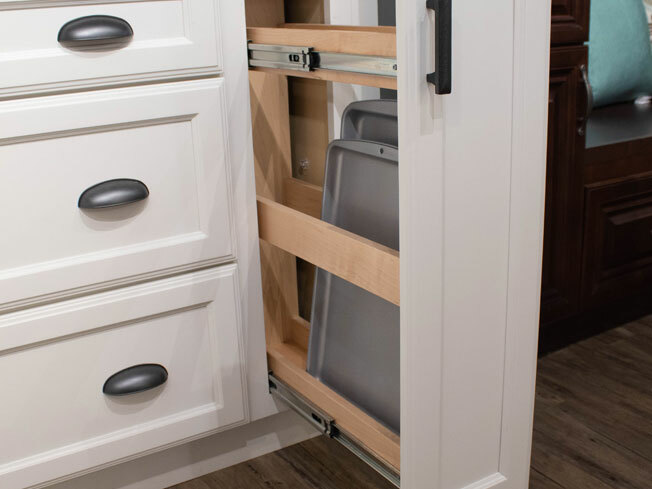 Consider using pantry pullouts to store your spices, cookware lids, and cooking sheets. Use your cabinet doors by turning them into storage and organization compartments. 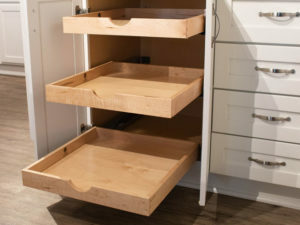 This is a great idea for storing easy-to-grab, everyday items. Not every kitchen needs a complete tear-down. Some of these ideas make for a great weekend project and are easy on the wallet. For bigger ideas, like an open concept kitchen, consider hiring a professional. They’ll be able to help with the technical things like reinforcing a load-bearing beam. 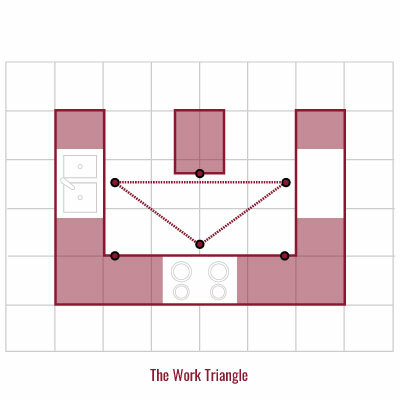 My last tip is to design the kitchen to suit your lifestyle and needs. If you have an idea and want to share it, leave in it the comments below. Are you a fan of the Choice Cabinet blog? Click on the button below to subscribe!